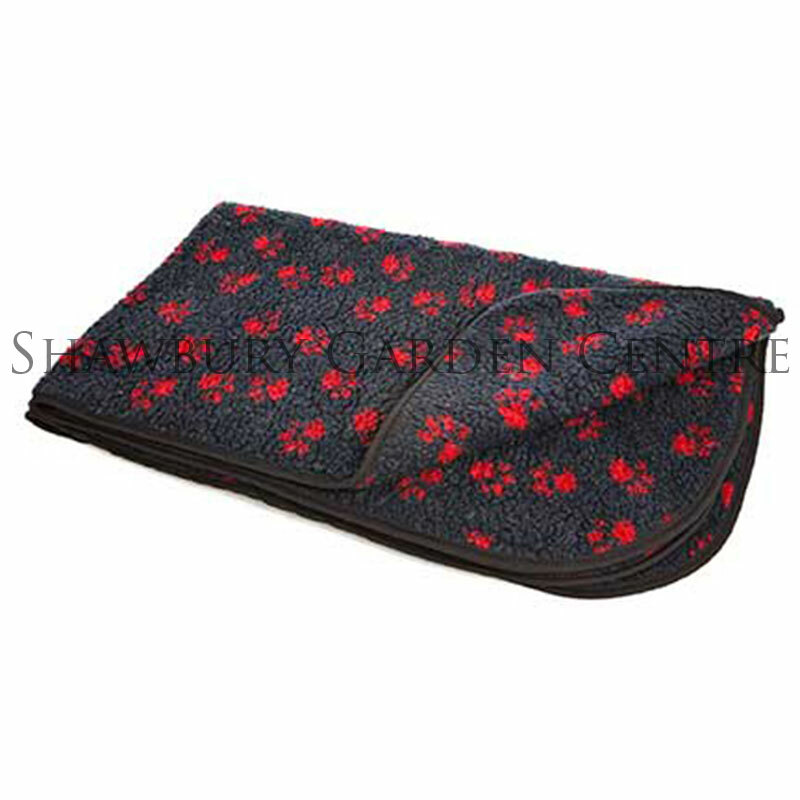 P & L Double Thickness Sherpa Fleece Pet Blanket: large / 149cm(l) x 122cm(w) red paw print pattern on midnight blue - ideal for protecting furnishings from pet hair and odours. Luxurious, double thickness fleece blanket, designed and made to provide your pet with comfort and warmth. 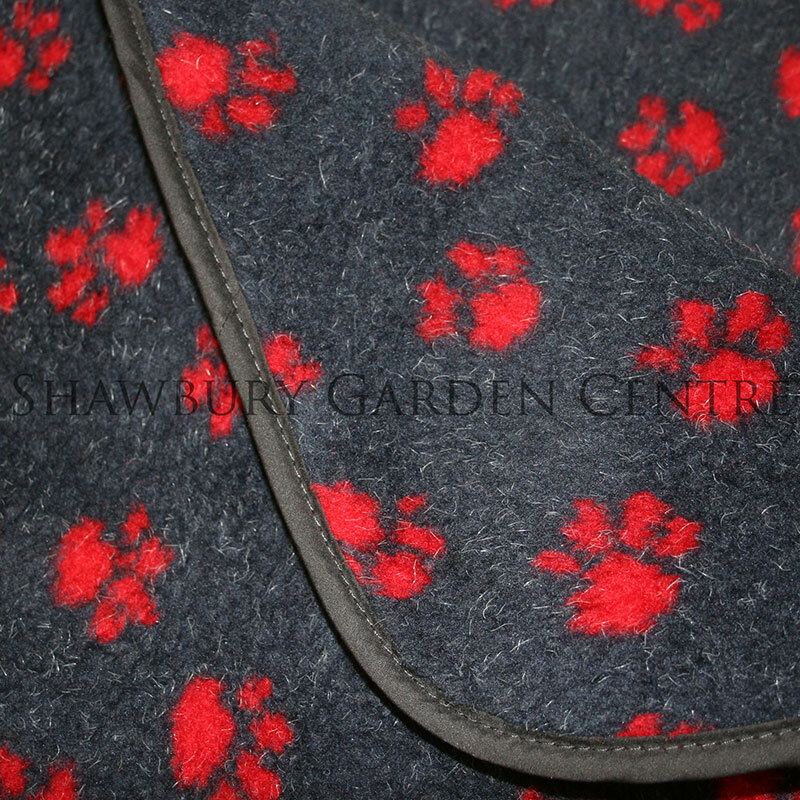 Brown Fleck, Black Watch Check, Charcoal Fleck, Oatmeal, Paw Print Beige, Paw Print Red, Paw Print Harbour Blue. 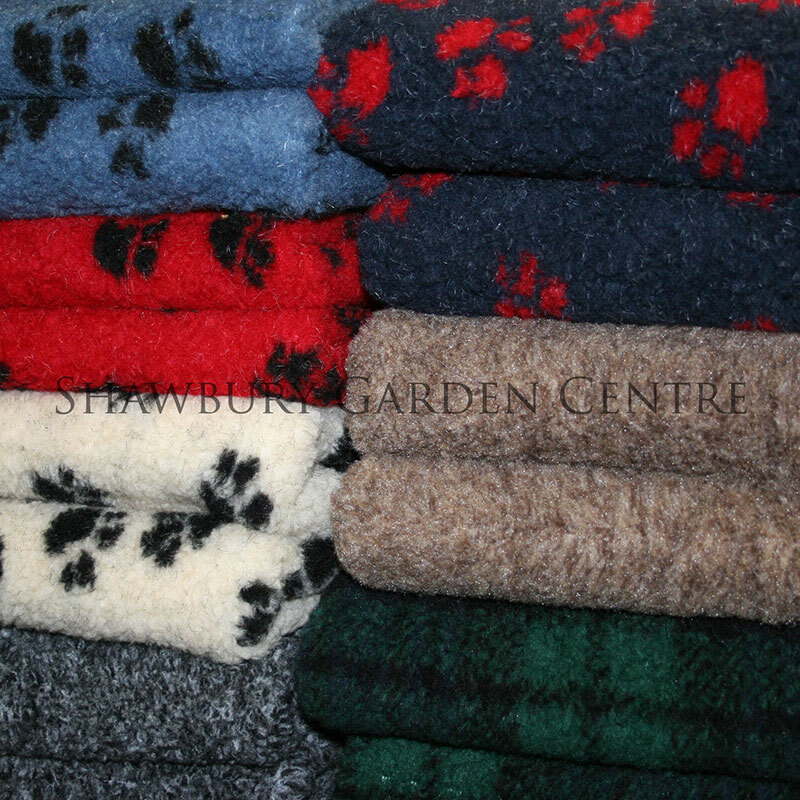 If you would like further information about P & L Luxury Sherpa Fleece Pet Blanket, please contact our garden centre at Shawbury just outside Shrewsbury in Shropshire, by calling 01939 251315 or emailing.